Wedding Card Maker Software allows you to design and print invitation cards in different colors, shapes and sizes as per your need. Wedding card making program has ability to design invitation card in bulk numbers using batch processing series feature. 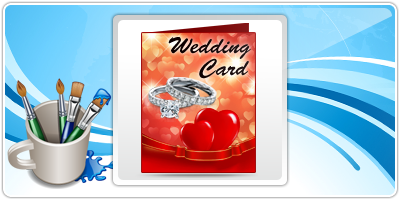 Design your own style of wedding cards using DRPU Wedding card maker software. 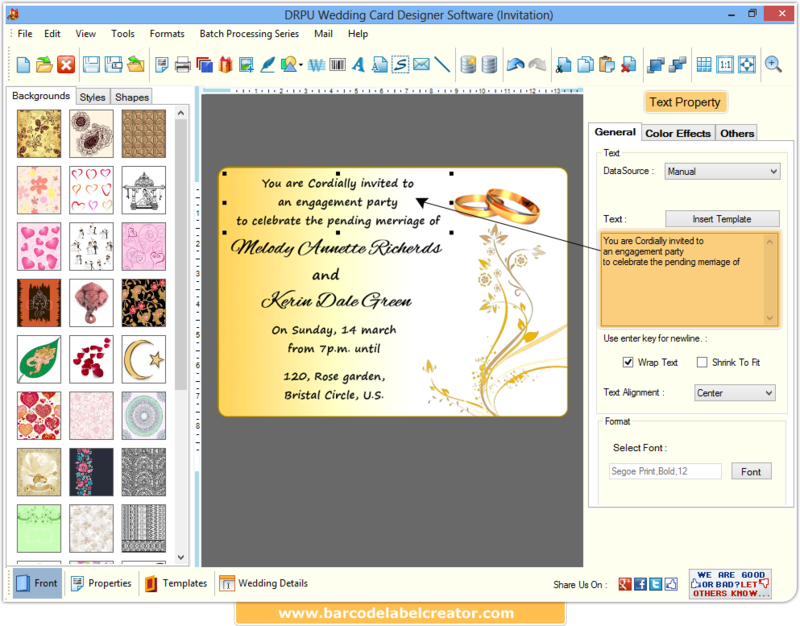 Software easily creates wedding cards using Text, Clip arts, Signature, WordArt, Image and other designing objects. Design and create Wedding Cards using image designing Tools including Text, ClipArts, Signature, Wordart, Barcode, Shape Type and Insert Image. Design Wedding cards in customized shape including Rectangle, Rounded Rectangle or Ellipse label shape. Batch Processing Series feature allows to generate multiple copies of Wedding Cards with different barcode and text value. Provide facility to create Wedding Cards Using Templates, Design Wedding Card Using Wizard, Design Wedding Card Using Blank Format. Option to print created Wedding Cards using advance print settings. Provide option to send designed Wedding cards on specified email address using inbuilt email setting.